Chartered Global Management Accountant™ (CGMA®) is the global designation for management accountants. It’s powered by the resources and expertise of the American Institute of CPAs (AICPA) and CIMA, two of the world’s leading accounting organisations. As a CIMA member, you automatically qualify for the designation and can use the letters CGMA after your name*. The CGMA designation extends the global reach of your recognition as a chartered management accountant. You remain a CIMA member, with all the benefits of CIMA membership. Recognises your experience and skills globally - Having the CGMA designation will add power to your CV/resume by demonstrating your business acumen, ethics and commitment. Showcases your value around the world - Every day we work with key employers and influencers worldwide, increasing awareness of the designation. Connects you to a community of like-minded peers - By becoming a part of a global community of professional management accountants, you can share best practices, create innovation and be better prepared to meet the global challenges in today’s business environment. 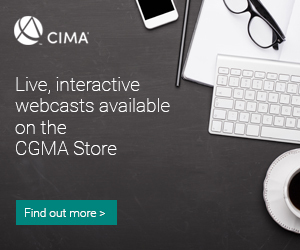 Gives you the tools you need to succeed - CGMA tools, webinars, reports and research will challenge your thinking and keep you at the forefront of your profession, giving you a competitive edge. 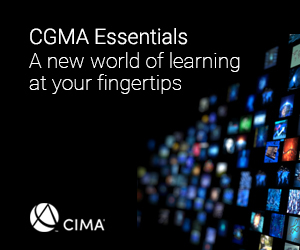 These resources are exclusive to CGMA designation holders. When you gain CIMA membership, you also gain the CGMA designation*. From January 2015, all CGMAs - whether they followed the AICPA or CIMA route - will undertake the same final strategic case study exam and practical experience requirements to become CGMA designation holders. For CIMA students, this is the final case study exam of the CIMA qualification. *Please note that members of CMA Canada who are elected to CIMA membership through the 'preferred access' route after 31 January 2012 are not eligible to use the CGMA designation.